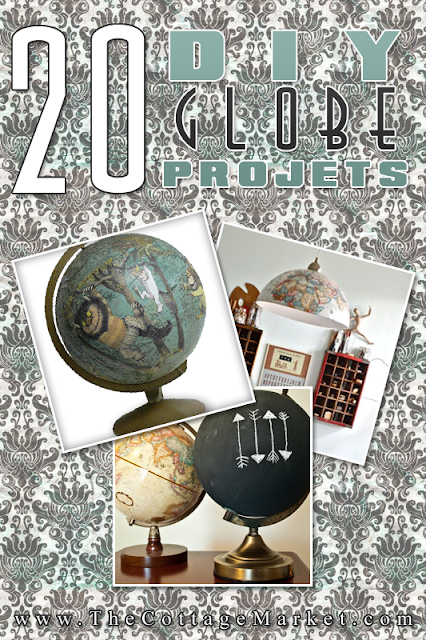 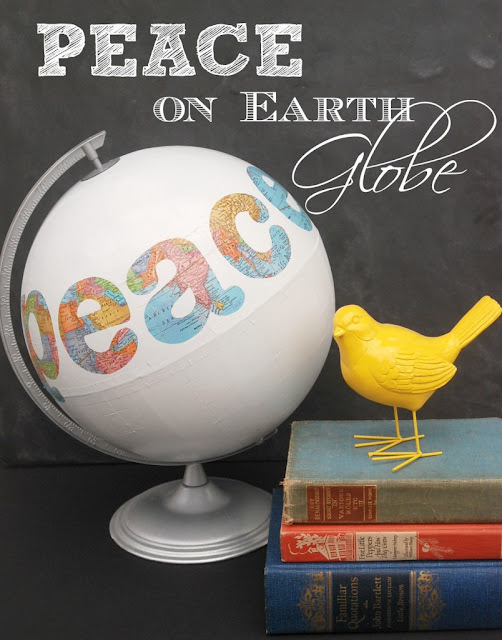 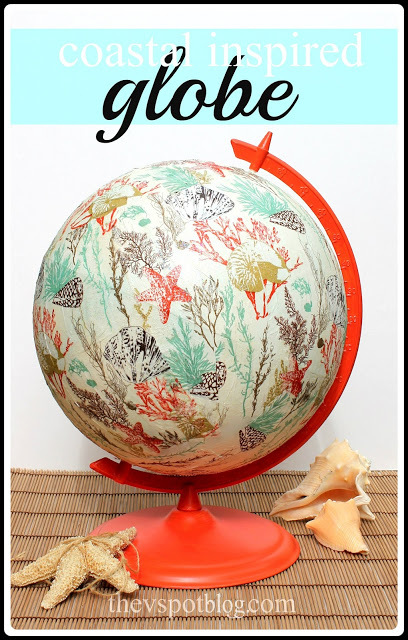 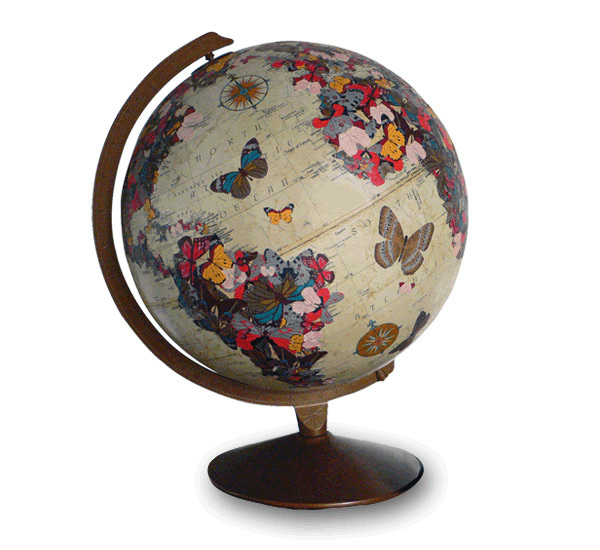 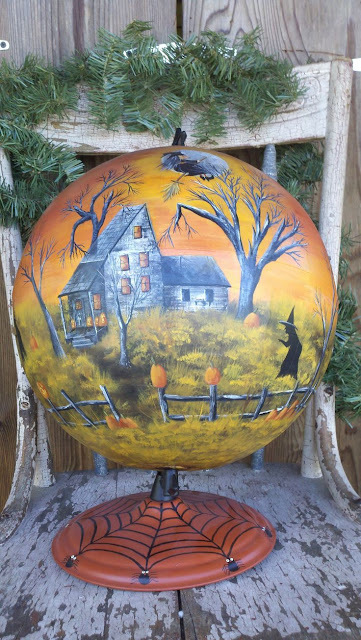 No…today’s post is not a Soap Opera…it features a vast variety of awesome upcycled globe diy projects. The creativity will amaze you as it does me I am sure. 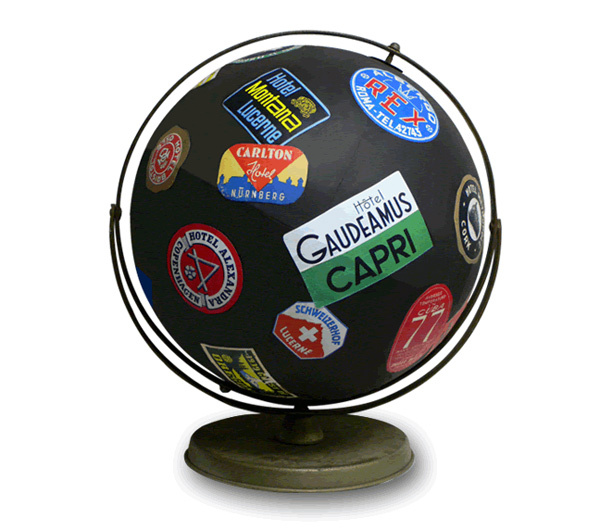 So let’s take a spin around the globe. 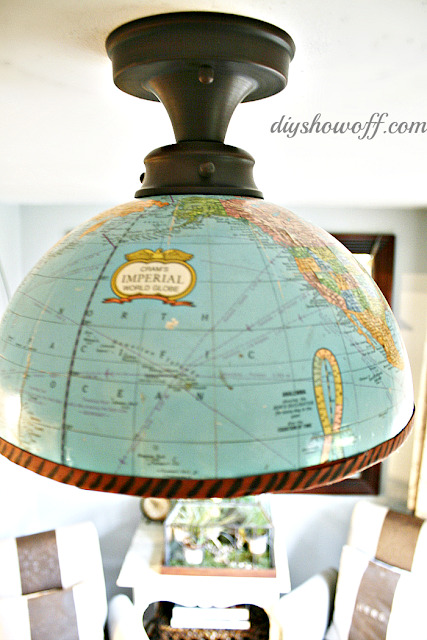 where you will find a wonderful vintage globe that has been split at the equator and made into a fabulous worldly chandelier. 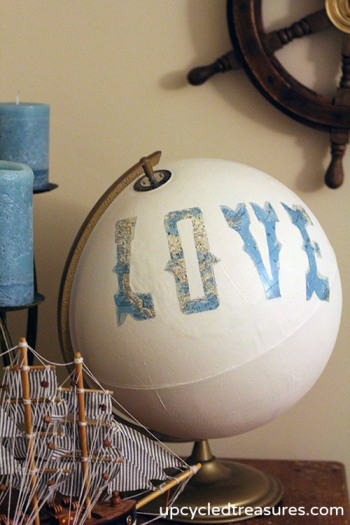 DIY time on this creation is 15 minutes…how cool is that! 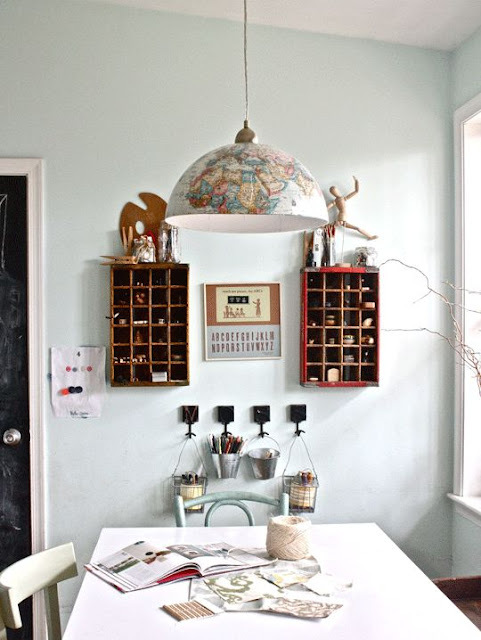 Robin has an idea on how to use all of those gorgeous buttons you have saved up in mason jars. I have to say it looks amazing…with a little paint and a lot of buttons and glue you can create some magic of your own. 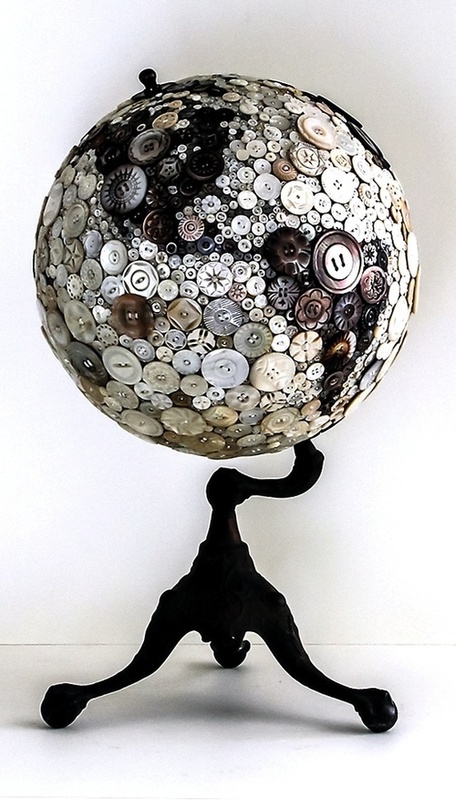 Created by Robin Ayres. Upcycles her globe and makes a fabulous light fixture that looks like it came out of an anthropolgie store. Of course she gives a comprehensive DIY! 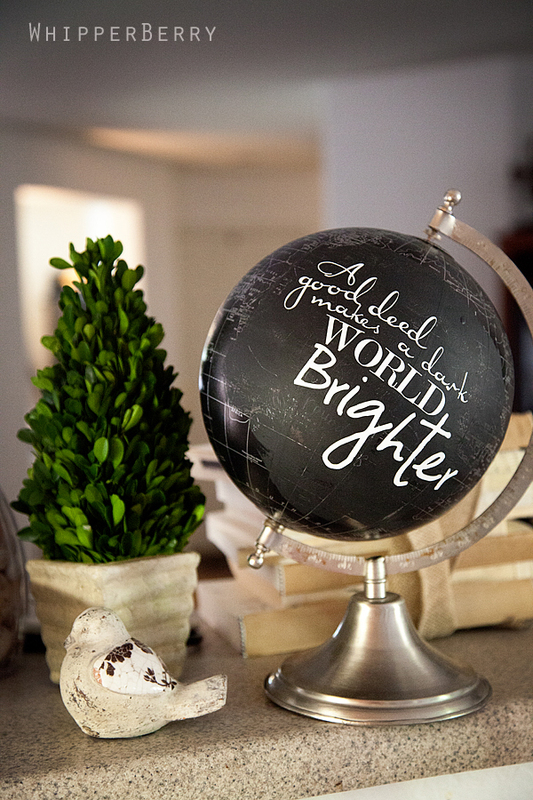 make the world a little brighter with her global creation! 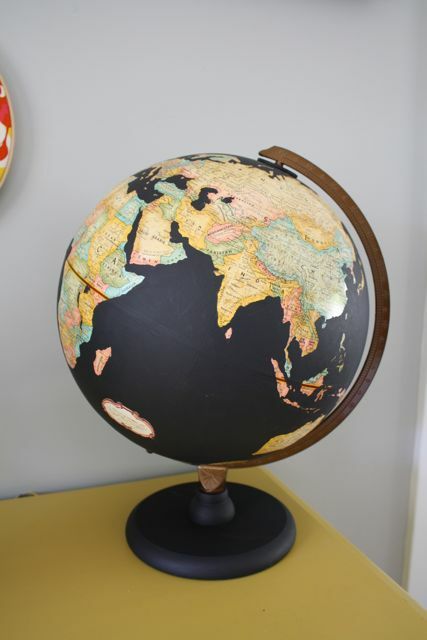 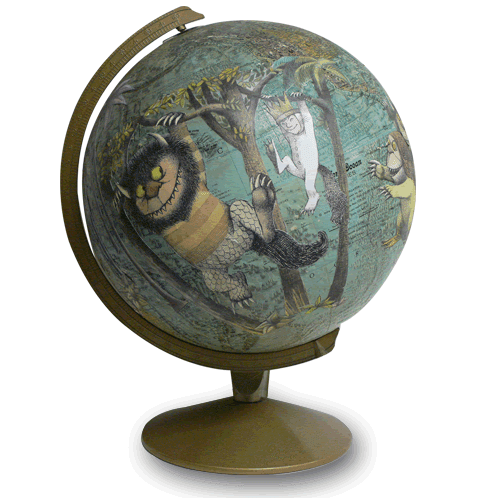 Takes there globe down below the equator and it looks fabulous! 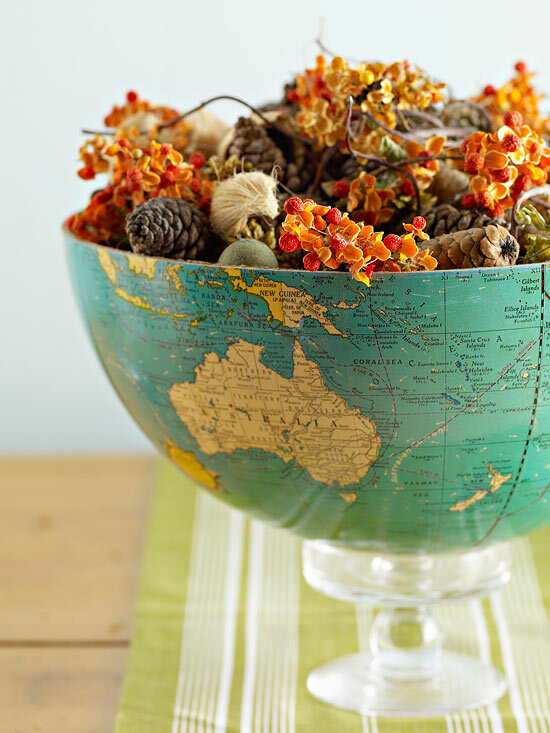 Fill it with seasonal elements or line it and serve an international snack. Here is a great idea to add a bit of worldly glitz to your space. 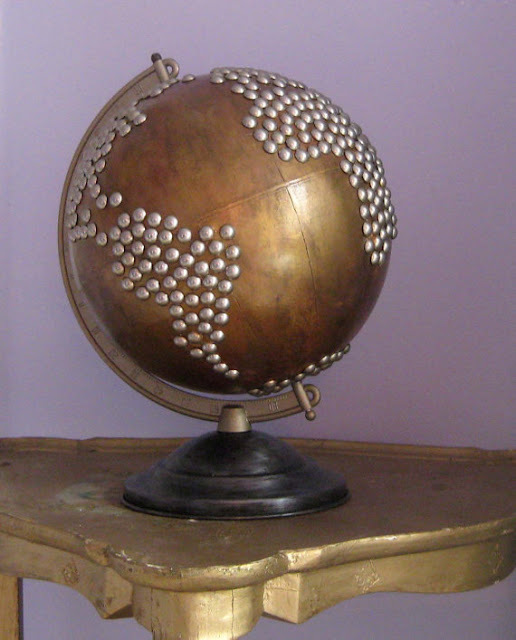 If you are looking to recreate the look…grab some antique gold paint…some stain…and a lot of vintage nailheads and have at it! 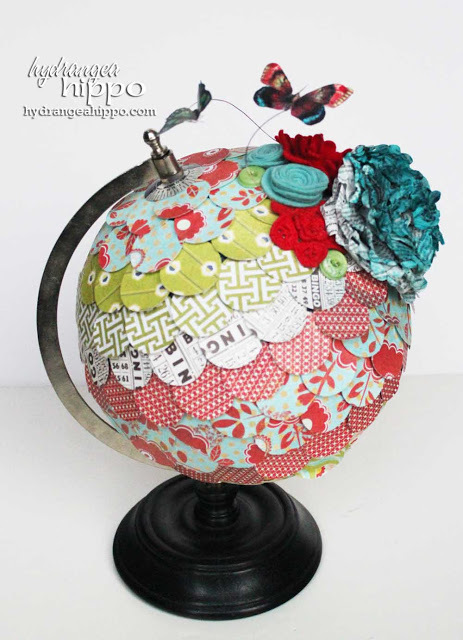 I am always amazed what some fabric and glue can do. 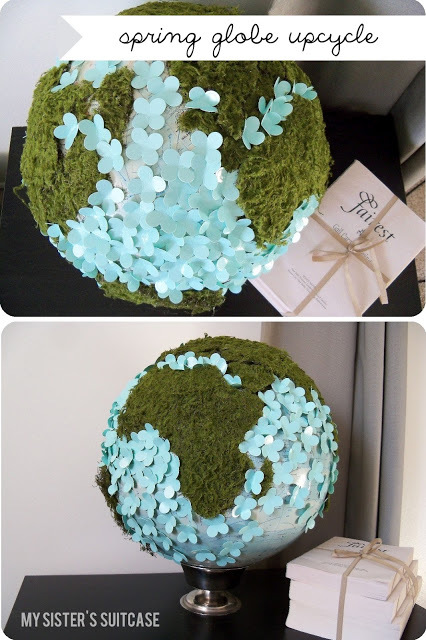 Can you feel that gentle ocean breeze. 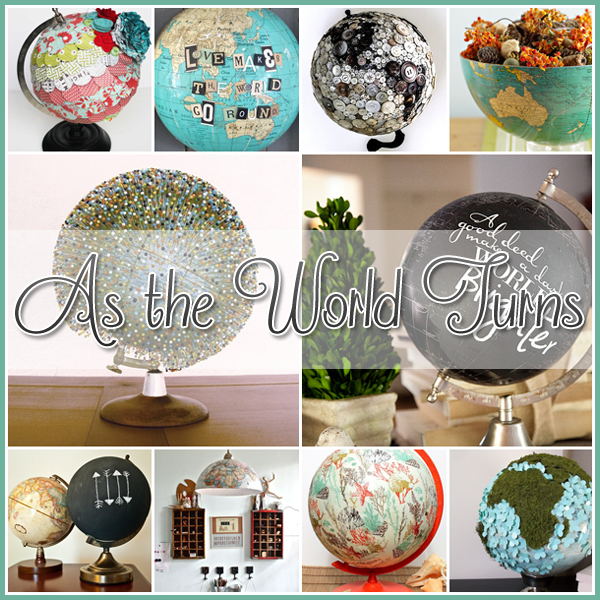 takes upcyling out of this world! 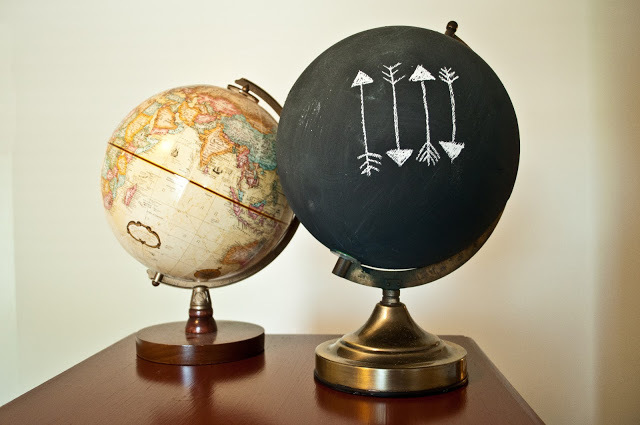 has pinpointed every place that is spectacular on this earth and that would be every where! 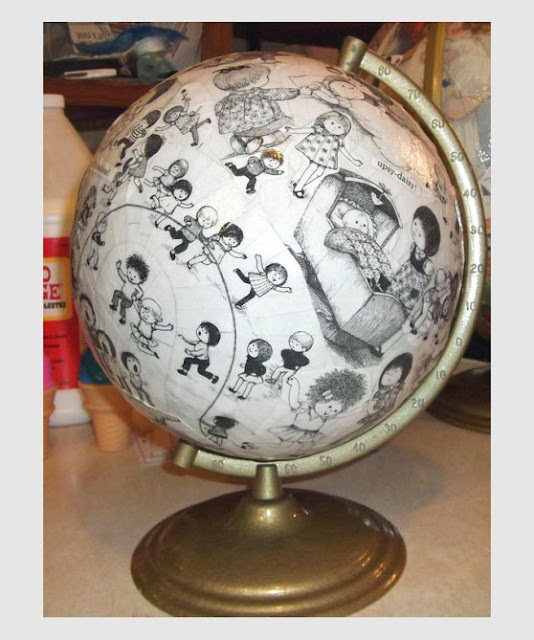 puts another spin on the chalkboard globe and you can do…a blank canvas for tons of fun and then you can change it up again! 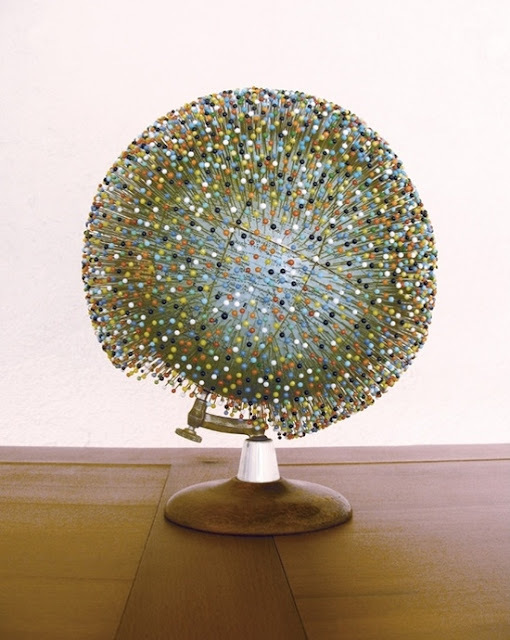 covers all the time zones with this inventive upcycled globe clock. With a half globe (north or south) a drill…clock workings…cool hands and some numbers or embellishments…you can whip one up yourself. 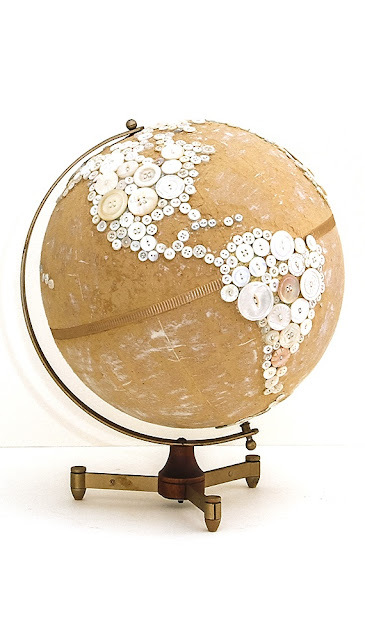 If you are looking for a shabby chic cottage style upcycled globe…look no further…get those buttons…ribbon and paint treatment out and have a worldly artistic experience! 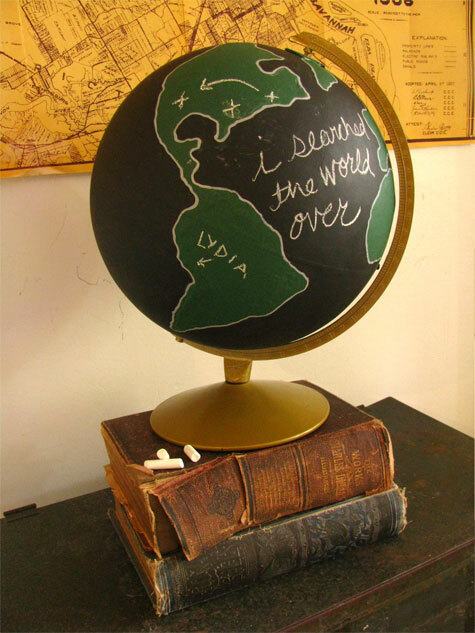 chalks the oceans…lakes and rivers on her gorgeous globe…it looks fantastic…yet another spin on things. 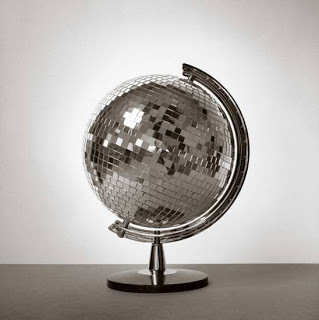 brings a little disco to the world by using a globe stand and adding a disco ball! 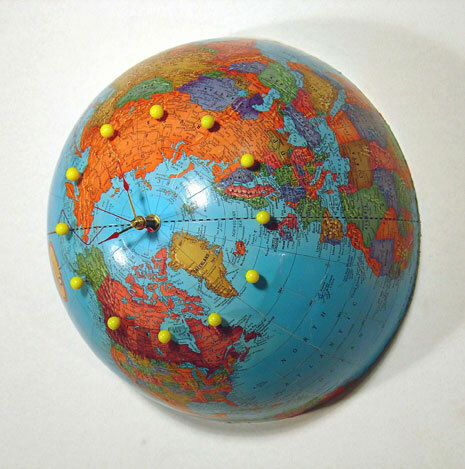 The 80’s are alive around the globe! I think this would look great for any season or holiday don’t you!